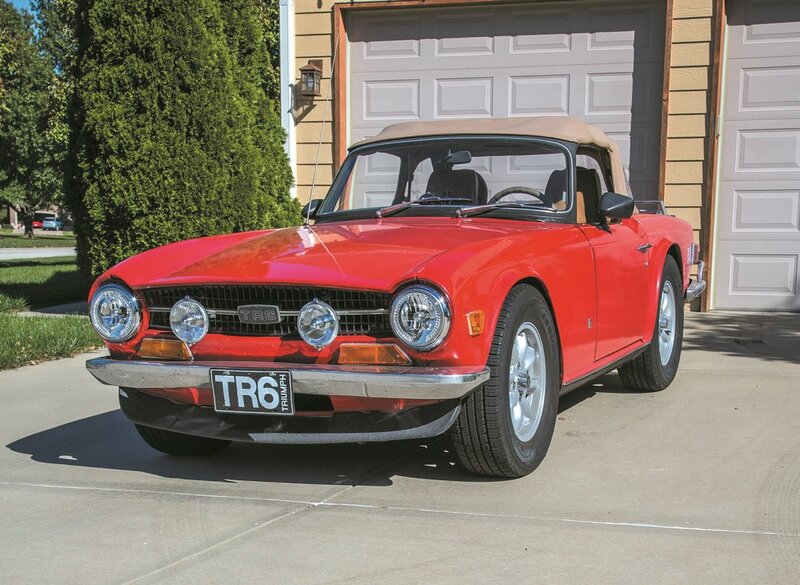 I purchased the 1969 TR6 in spring of 2009 from a previous owner in Wichita, KS. Since then I have rebuilt the suspension, replaced the clutch and fuel pump, upgraded from steel wheels, reverted to points and condenser from electronic ignition and converted all the lights to LEDs except for the main beam, which is high intensity discharge (HID). 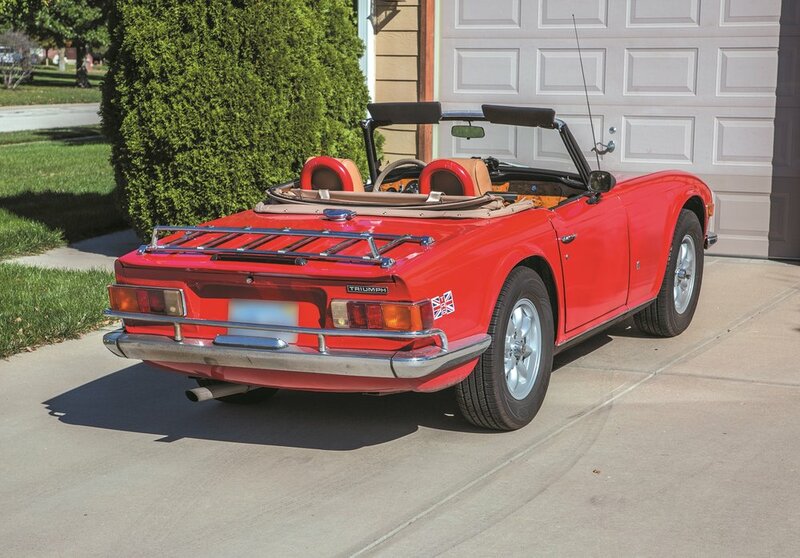 This TR6 holds special memories for my wife Amy and myself. On our first date, we met at a North Kansas City restaurant for lunch. After lunch was over, I had a printed movie schedule and asked Amy if she would be interested in a movie. 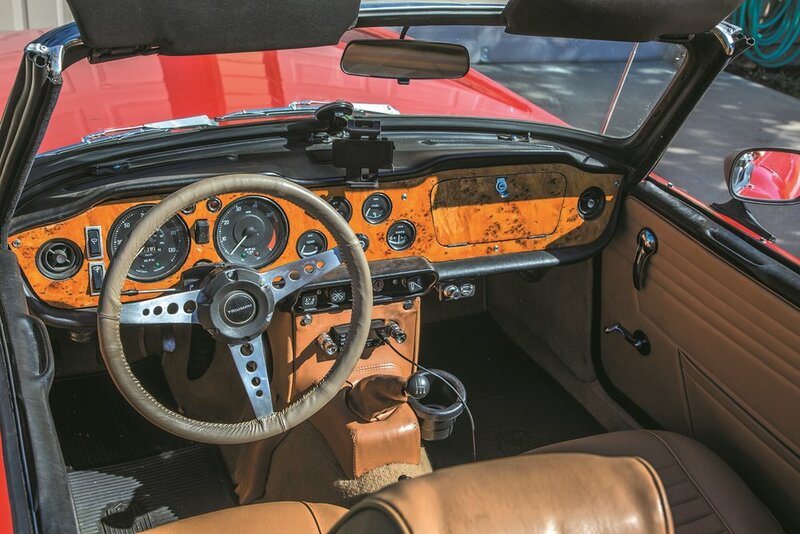 She said yes, and to my surprise, Amy was willing on a first date to hop in my TR6 and head off to the movies. 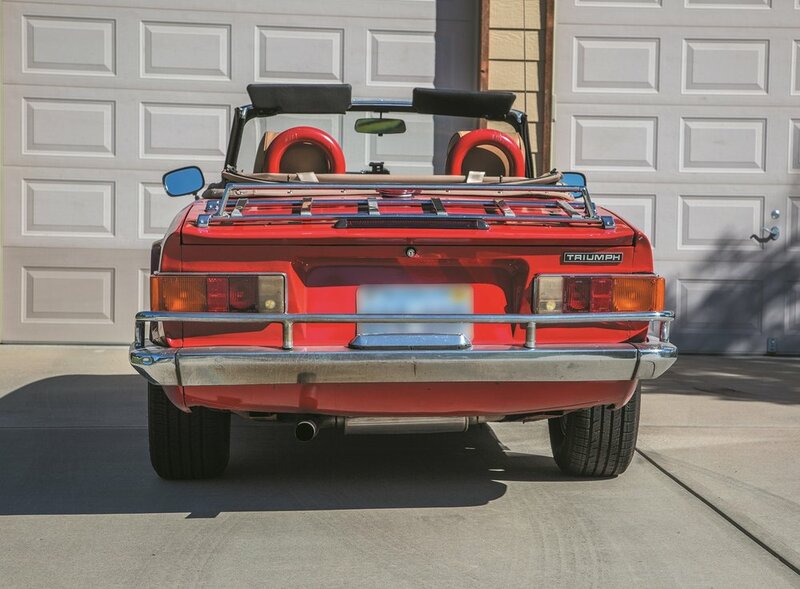 A few years later, the TR6 was featured in our engagement pictures. 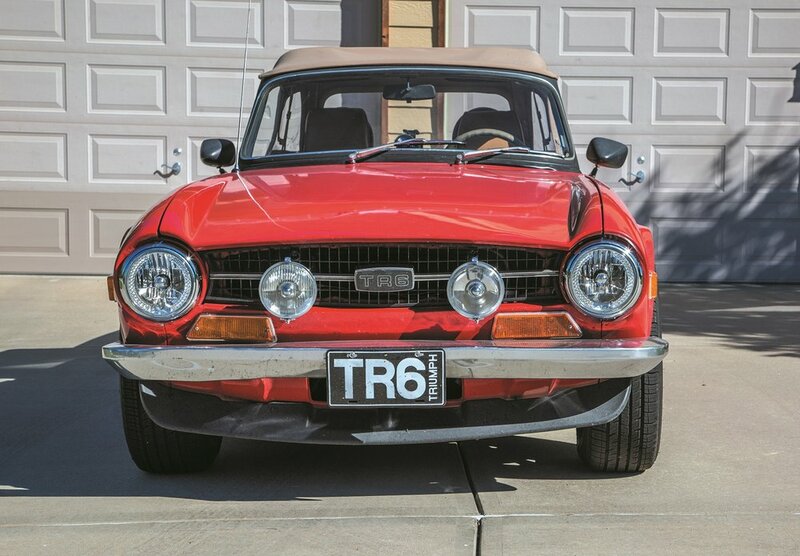 I like to believe that the TR6 was responsible for helping me find a wife.